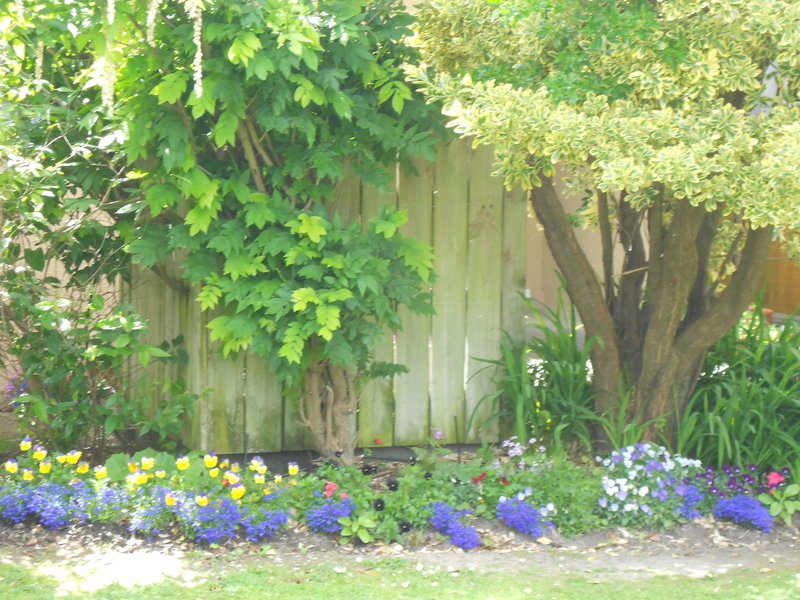 Spring is my favourite time of the year in the garden, when the flowers are looking pretty, the vegetables are growing nicely, and it’s not too hot for working outside and pottering amongst the plants. 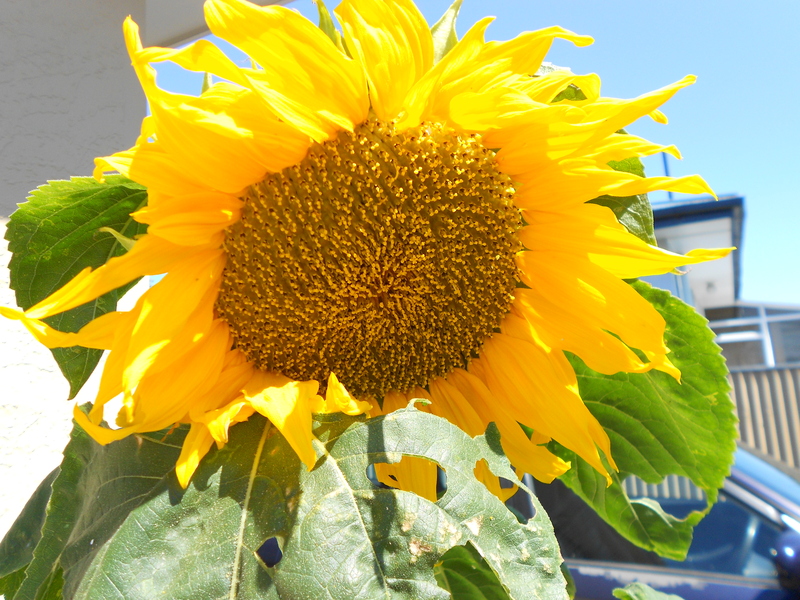 I planted some sunflower seeds from a commemorative tin of Yates seeds that out friend, Erica, gave us, and the first flower is blooming already! We had loads of cinerarias self-seed in our raised vegetable beds this year, and they look so pretty, I couldn’t bring myself to pull them out. 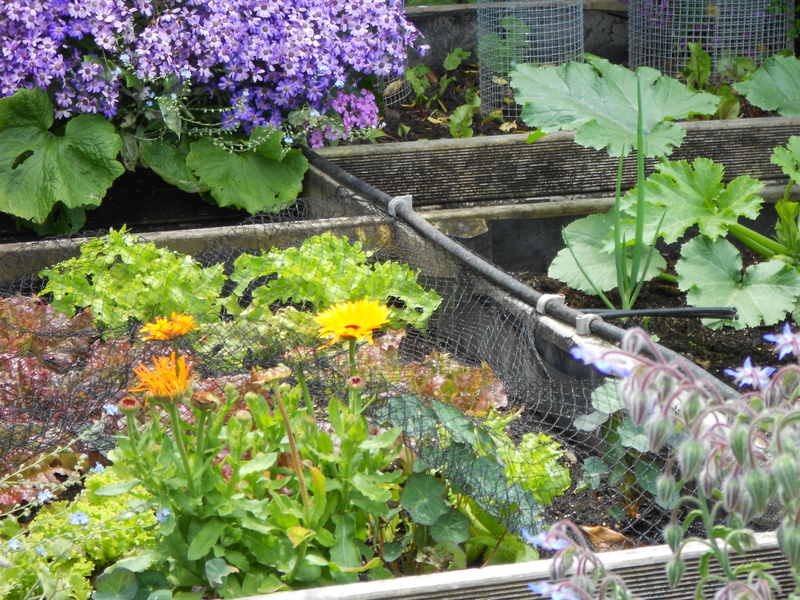 So although there has been less room for the veggies, I have enjoyed looking at the lovely flowers over the last couple of months. 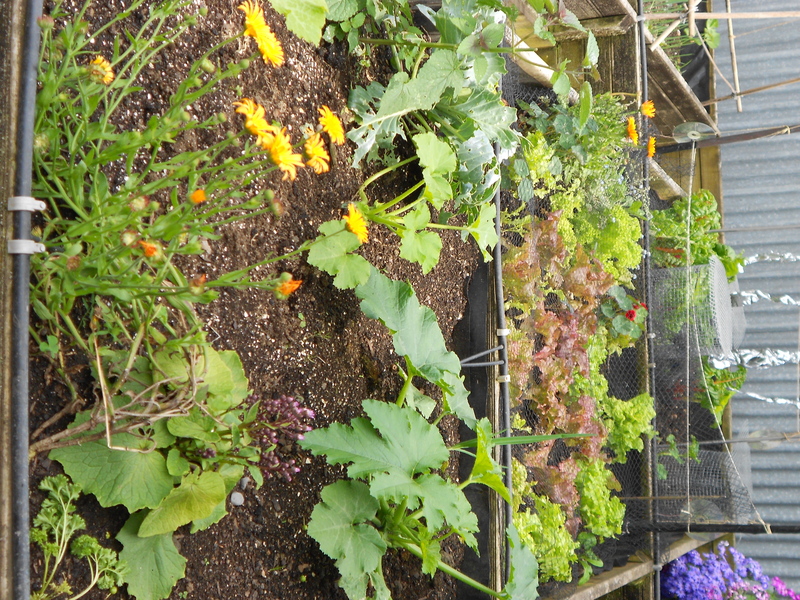 I covered the lettuces with netting to stop the birds from eating them all. 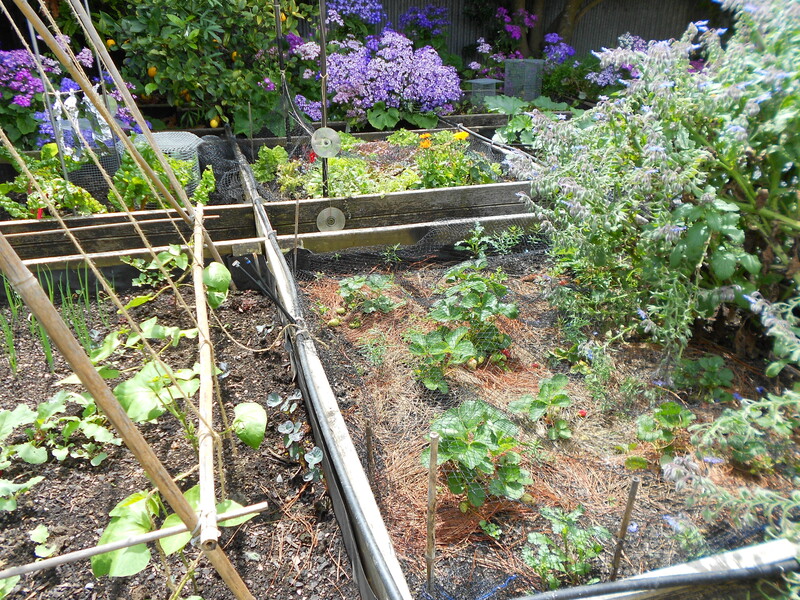 I hung tin foil from twine to keep the birds away from the silverbeet, which seems to have worked. Although I love having birds in the garden, and encourage them by feeding them, they seem to think that we grow the veggies just for them! I plant lots of blue flowers to attract the bees. They love the borage, which is also a good companion plant for the strawberries. 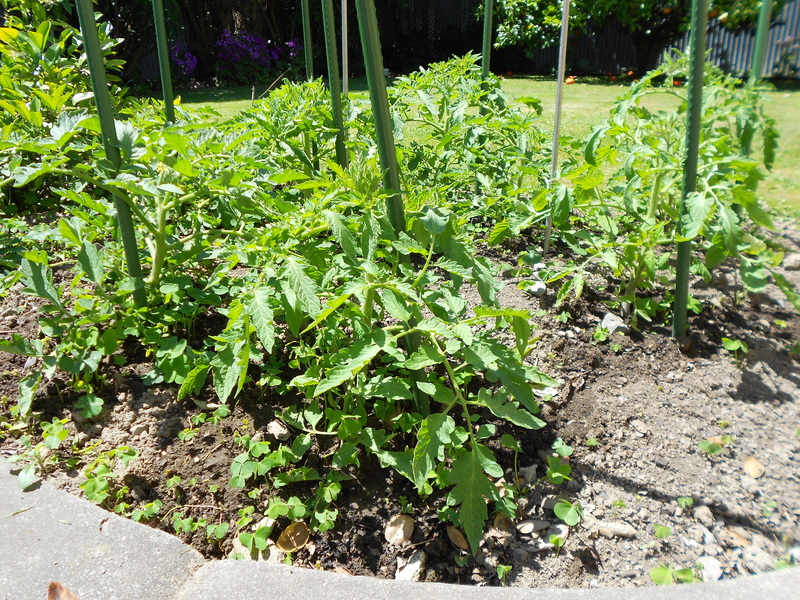 The tomato plants are doing nicely, although the oxalis is growing rampant in the tomato bed at the moment. I don’t like spraying anything, so have to try and keep on top of the weeding. 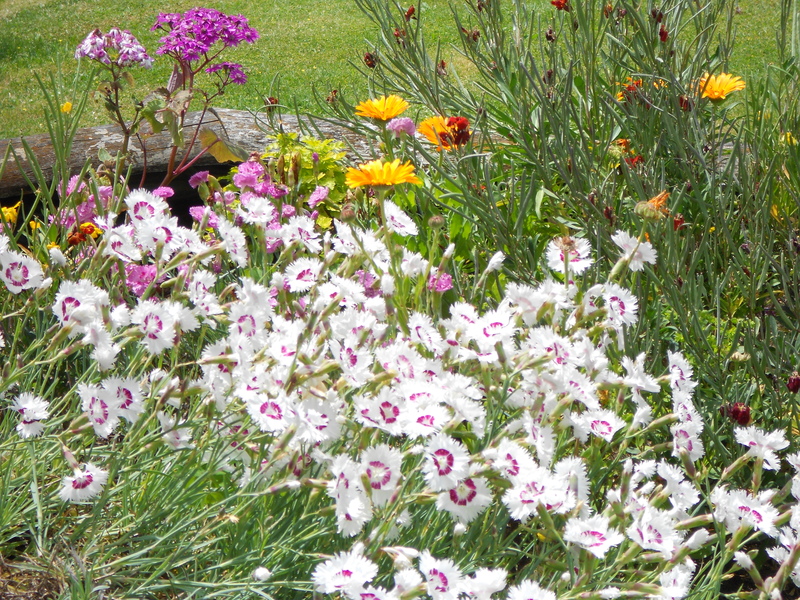 These dianthus in our front garden have the most beautiful scent. I think the blue lobelia and the yellow pansies look really pretty together. 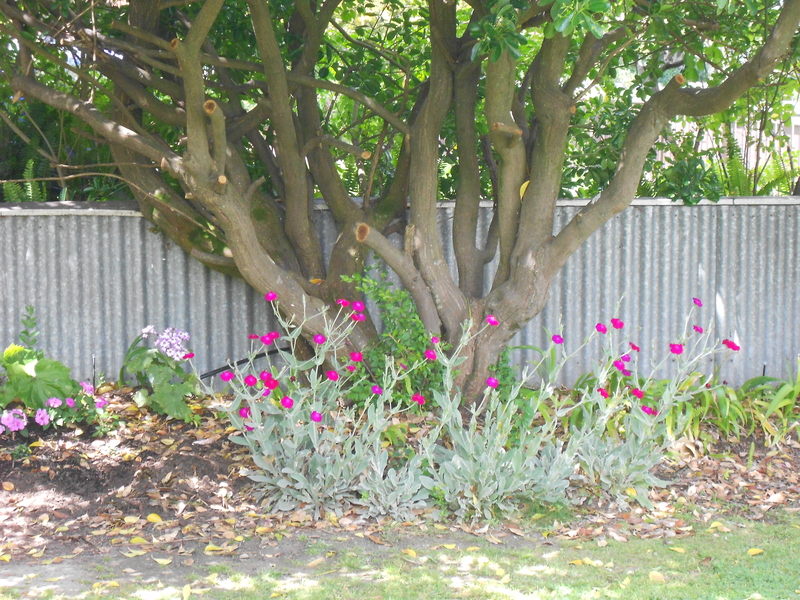 This little rock rose (I think that’s what it is) loves growing under the dappled shade of the tree. There is always lots to do in the garden, but our efforts are rewarded with beauty and bounty. There is nothing nicer than looking out onto a pretty garden, and being able to walk outside and pick fresh greens for dinner. 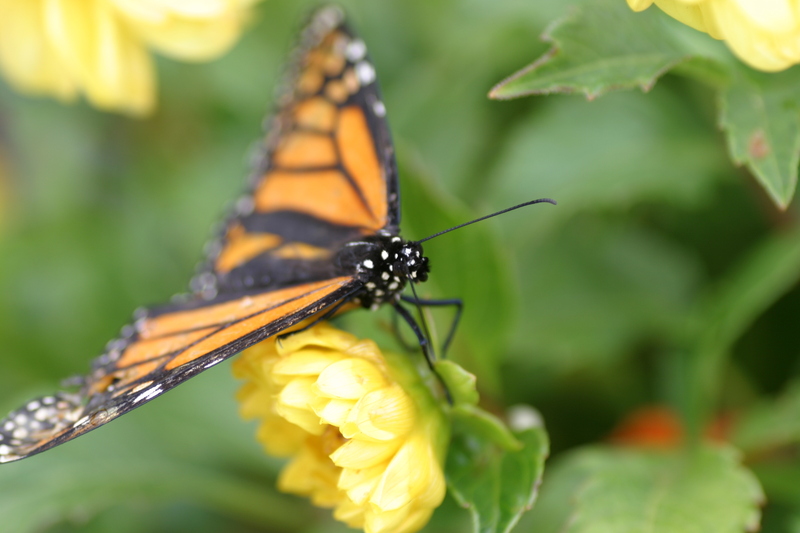 This entry was posted in gardening, My Blog and tagged butterfly, dianthus, gardening, spring, sunflowers. Bookmark the permalink. Beautiful! I wish I was better at growing plants of any kind. I did OK with sunflowers and squash but I don’t seem to have any luck when it comes to herbs. I keep trying, though. Thanks! There are some things I just can’t seem to grow, so now I tend to stick to the ones that I know will do well in my garden. I love herbs and am always drawn to the herb section at the garden center. I usually end up coming home with something new! Wow, Kristah! 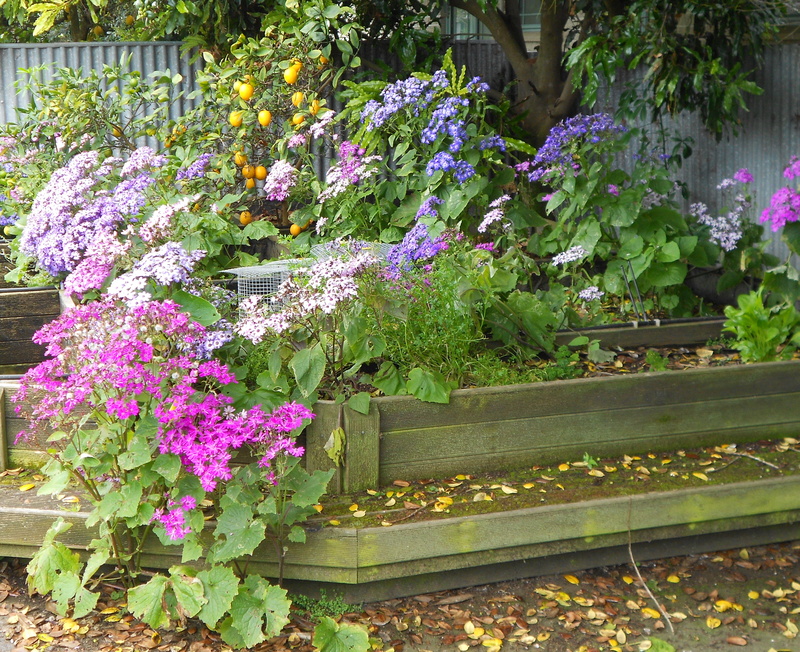 Your garden is amazing! Thanks, Deborah! And thank you for the award nomination. I accept!